REVIEW OF PUREX TRIPLE ACTION LAUNDRY DETERGENT ! A few weeks ago I was offered by PUREX INSIDERS the chance to review their newest product. TRIPLE ACTION PUREX MOUNTAIN BREEZE. The first thing I noticed when I opened the bottle was the scent. Then I read on the label that it is formulated for performance in all types of washing machines. The triple actions are bright, white, clean. My clothes came out wonderfully clean and smelling great. I will be using this from now on. It is a great value , too. I was given a product for this review and I have not been compensated in any other way. My opinions are all my own. VERY EASY DAY COOKING ON CHRISTMAS !!! We have been on a roller coaster this past week. Bobo and Sissy have been sick right through Christmas. Mommy and Daddy were sick,too. It still was a nice Christmas. We had decided this year, thank goodness. to make it as simple as possible. One of the gifts that I, Nana got for Christmas from my sister was the cookbook called 365 Slow Cooker Recipes. I had thought for 3 days what recipe I wanted to use for Christmas. We were already having a turkey so I wanted a different kind of meat. Mommy and I decided to get a pork loin. The recipe was so easy I am going to use it all the time and by just changing the spices it is a different taste every time. We took the 2 pieces and rinsed them off. I don't know why, I just did because Mommy said to! Then we put them in the crockpot . We sprinkled garlic powder, some parsley and some rosemary. Then we put in about 1/2 cup of water. We put it on low and 4 1/2 hours later just when the turkey was done we took it out. It was delicious and was so easy. I envision next time using dill and many other different spices. The starch was baked potatoes with different toppings. How much easier could this be? I was able to enjoy the day with Bobo and Sissy! I will even use this on any occasion where I want to get other things done while cooking a nice deal. REAL TEA PARTY WITH CHINA AND BEAUTIFUL TABLE ! When Sissy was born I, Nana decided that we were going to have tea parties as much as we could. I bought her a China Tea Set just after she was born. When she was smaller she got a plastic one that she used to play tea party. Now that she is older the other day she came over and I took out the China Tea Set. I washed every piece (some were really small!) and dried them. I put real sugar in the sugar bowl and real cream in the pitcher. I took my glass measuring cup and boiled some water. I put a tea bag in and poured some into the tea pitcher. We did this on a TV tray. A few days ago I found this table at a secondhand store for 3 dollars. I fell in love with it!!! It is just the right size. Auntie Lala is enjoying her tea with Sissy in this picture but rest assured every family member got their turn! The picture doesn't do the table justice. I has a wood top and metal legs. The top has sparkles all around it. I cannot begin to explain how happy I am whenever I see this. OH NO! CHRISTMAS IS ALMOST HERE ! Oh my gosh ! I , Nana have been running around like crazy trying to get to all of the deals I can. JC PENNEY has a $10 of $25 purchase and includes sale items!!! Target has on line coupons for $4 and $3 off some apparel items. These also include sale priced and clearance items. I cannot list what I got because some people , I won't mention who, like to read this blog. There are really huge clearances in both of these stores right now. I think I might go back tomorrow. I cannot believe that Christmas is only a couple of days away! Poor Mommy has been ill for the past few days so she hasn't been able to get out and get some last minute shopping done. Hopefully by Wednesday she will feel better. These are the winners of my 12 days of Chist mas giveaways! $10 DUNKIN DONUTS GIVEAWAY TWELVE DAYS OF CHRISTMAS HOP !! As I promised, because I did not do the first day of Christmas a Partridge in a Pear Tree , I decided to Giveaway a $10 Gift Card to .........drum roll.............my favorite place (and I hope yours too !! There are 3 ways to enter this giveaway !! 1.Follow this blog and send a comment telling me ! 2. Follow Mommy's little sister's blog at http://www.dealsharingaunt.blogspot.com/ and send a comment telling me. 3. Send me a comment telling me how much you love DUNKIN DONUTS. Today is supposed to be the last. I am going a little backwards though, because I came into this a day late. Tomorrow I will be giving away something special. Don't forget to stop by and enter !!!! Today is Day 12. These are 2 little plastic storage boxes and 2 Christmas pencils. These simulate drums and the sticks. These will look great on any desk to hold small items. The pencils are really cute. There are 3 ways to enter this giveaway. 1. Follow this blog and send me a comment telling me. 2. follow Mommy's little sister's blog www.dealsharingaunt.blogspot.com and send me a comment letting me know. 3. Send me a comment about anything you saw in the giveaway that you liked.Winners will be chosen at random December 15th, Good luck ! For Day 11 I decided to give away these 2 foil pans with lids in the shape of Christmas trees. I thought of Pipers Piping. I also have 2 beautiful GLADE CANDLES. They are both part of their Holiday Collection, both Apple Cinnamon . These smell wonderful. There are 3 ways to enter this giveaway. 1. Follow this blog and send me a comment telling me. 2. Follow Mommy's little sister's blog www.dealsharingaunt.blogspot.com and send me a comment telling me. 3. Send me a comment telling me your favorite scent. Winners will be chosen at random December 15th. Don't forget to enter all of the giveaways for a better chance to win . MAKING A REINDEER ORNAMENT JUST LIKE WE DID WHEN MY CHILDREN WERE LITTLE! Mommy is a room mother at Bobo's school, just like I (Nana) was when Mommy and her brother and sisters were little. When we were thinking about a craft to make in the classroom we thought of a reindeer made out of the round head clothespins that Mommy made in Girl Scouts. As you can see in the picture you will need 3 for each reindeer. Two are glued together facing the right way to form the 4 feet. It is a good time to cut a gold twine and put it between the 2 clothespins when you glue these for a hanger for the ornament. Then you take the other clothespin and glue it to one side of the other clothespin head to head and the rounded head pointed up to form the face and the antlers. Time for the fun decorating. We used pom poms on the back for a puffy tail. We used magic marker for the eyes instead of small beaded eyes because the kids were small. Then we made a face . When I took out my ornaments the other day and I found the one that Mommy had made. I was brought back to when she made this. It is fun and makes a lasting memory when you take the time to make ornaments with your children and your grandchildren. We made one with Bobo and Sissy, too. What a great afternoon !! Let me know if you want a picture of the finished product . Day 10 is Lords A-Leaping............A beautiful Glass Cutting Board with a picture of an elves feet . I am so in love with this. Who can't use another cutting board or a small serving tray. There are 3 ways to enter this giveaway..1. Follow this blog and send me a comment telling me......2. Follow Mommy's little sister's blog www.dealsharingaunt.blogspot.com and send me a comment telling me. 3. Send a comment about dancing or cooking or whatever you want. Winners will bw chosen at random on December 15th at random. Good luck !! Oh my gosh ! I am in love with these little cow milk pitchers. These are just the right size for a cute little luncheon, breakfast or tea party . Just the thing for 2 people to have their own ! !8 Maids A-Milking !! As ususal there are 3 ways to enter this blog. 1. Follow this blog and send me a comment telling me . 2. Follow Mommy's little sister's blog www.dealsharingaunt.blogspot.com and send me a comment telling me. 3. Send me a comment about cows or milk!! Winners will be chosen at random on December 15th . Good luck. Don't forget to enter for all the days. I decided to give these gorgeous ornaments out today. Yes there are twelve but I guess that's okay because 12 days of Christmas. They are very dainty and will look great on any tree or decoration. There are as usual 3 waysto enter this giveaway. 1. Follow this blog and send me a comment telling me that you are. 2. 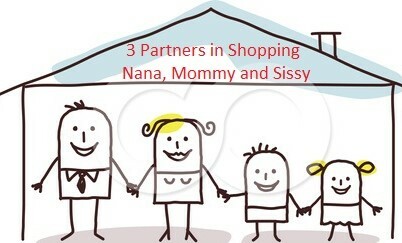 Follow Mommy's little sister's blog www.dealsharingaunt.blogspot.com and send a comment letting us know that you are. 3. Send any comment about swans or swimming. As usual I tried to think of something with the Twelve Days of Christmas song.....So I have a gorgeous hand made pillow with a picture of 2 geese. Then I thought of geese a laying and I though of eggs. Then I remembered that hens lay eggs of different colors. I wasn't really sure if geese did so I decided to buy these anyway. So I have a beautiful pillow trimed in lace and a bag of GOOD AND PLENTY CANDY ! There is 3 ways to enter this giveaway ...........1. Follow this blog and send me a comment telling me that you are. 2. Follow Mommy's little sister's blog www.dealsharingaunt.blogspot.com and send me a comment telling me. I was trying to think of a way to incorporate 5 golden rings into this giveaway today. So I immediately thought of LIFESAVERS CANDY . I was looking at the big bags and I couldn't believe it when it said 5 flavors. I especially love these during the winter when my throat gets dry from too much heat in the house. There are 4 ways to enter this giveaway . Follow this blog and send us a comment that you are. If you already follow send us a comment that you are. Follow Mommy's little sister's blog www.dealsharingaunt.blogspot.com and tell us that you are. Send us a comment about what your favorite flavor is of LIFESAVERS. Prizes winners will be drawn on December 15th .Good Luck. Today because it is day 4...........Four Calling Birds, we have 4 beautiful gold bird ornaments. They could be used on your tree, on a christmas gift to make it special or hanging on a door. There are many ways to enter this giveaway. Follow this blog and send a comment saying that you are. Send me a comment saying that you are already following this blog. I started to read this book a few weeks ago and I loved it. I have always been interested in reading about Emperors with their wives and children and how they live in a harem. This book tells about what goes on behind the curtains, so to speak. It has all of the elements of a good historical romance. A young girl of 14, Opal Moon is rescued by the Emperor's Fourth son Yin-chen. He cannot help himself and cannot bear sending her away so he keeps her with him by making her dress and act as a boy. He soon comes to realize that he cannot hide the fact from himself. Everyday he finds himself more and more drawn to her. I really enjoyed this book and anyone who loves historical romances will find this a very entertaining book. I was given this book by by The Dorrance Book Review Team. All of the opinions expressed are my own. TWELVE DAYS OF CHRISTMAS HOP GIVEAWAY. DAY 3 . ! Hi welcome to our next day in our Twelve Days of Christmas Hop. Today is 3 french hens. So we are giving away a box of French Vanilla creamer singles that do not have not to be refrigerated. There are 3 ways to enter this giveaway. 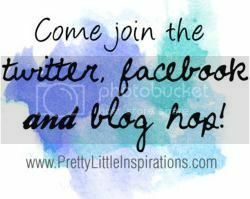 Send an comment saying you are following this blog. Send a comment saying you are following Mommy's little sister's blog www.dealsharingaunt.blogspot.com . Send a comment talking about what your favorite flavor of coffee is. Prizes will be chosen at random on December 15th. Good luck to all ! Wow! This is the very first time that I have ever been part of a Twelve Day of Christmas hop, thanks to http://www.dealsharingaunt.blogspot.com/ who is Mommy's little sister. Because I have started on day 2 (I will make up for it at the end!) I decided to use a box of Turtles. Who doesn't like chocolate? Get it? 2 Turtle Doves . Because we are just starting out there are 3 ways to enter. Just send a comment with a note saying that you are following this blog. You can also send a comment saying that you are following http://www.dealsharingaunt.blogspot.com/ The other is to send a comment about Turtles !! I really think that this is going to be a lot of fun seeing a different item each day that is linked somehow to the song. The winners will be chosen at random December 15th. Good luck to all ! GREAT HIGH DOLLAR COUPONS AT TARGET !! It is still time to get some really great buys at TARGET. On their website under their printable coupons they have a great bunch right now! There is a coupon for $5.00 off of any plus size women's apparel item and a coupon for $4.00 off of any women's sweater. There are others listed like $3.00 of any women's sleepwear and a lot of coupons on food and makeup items. I would also like to mention that they are having a great clearance sale right now. They even have some items marked so low that they will be practically free or for only a few dollars. A great way to get some shopping done and save some money.